Austerity gadgets top UK poll | What Hi-Fi? The UK's love affair with gadgets and gizmos may continue unabated, but over the last year 'austerity gadgets' from less well-known manufacturers have become the nation's new must-haves. That's the verdict of the latest research from social commerce company Reevoo. In eight out of the 19 gadget categories that it monitors, Reevoo found that the product rated most highly by owners is either a model from a less well-known, less-expensive brand than the obvious market leader, or is a budget version of a product from a leading manufacturer. 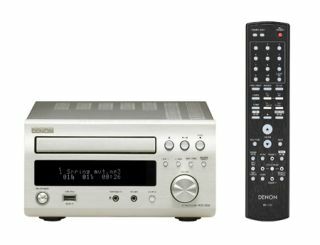 Bucking the trend is Denon's D-M38DAB (without speakers), which was voted the best hi-fi system. Best TV went to the LG 42PJ650, best radio was the Roberts Gemini RD45, best home cinema system LG's HB405 and best MP3 player Apple's iPod Shuffle. And forget your fancy smartphones: those polled picked the Nokia 2323 Classic as the best phone. "We haven't seen results like this before," says Reevoo CEO Richard Anson. "There are only two plausible explanations. Either the brands that people previously perceived as being less desirable have suddenly become very good, or cool to own. "Or, more likely as we all have less money to spend, value has become the most important criteria by which people measure how good their purchase is."